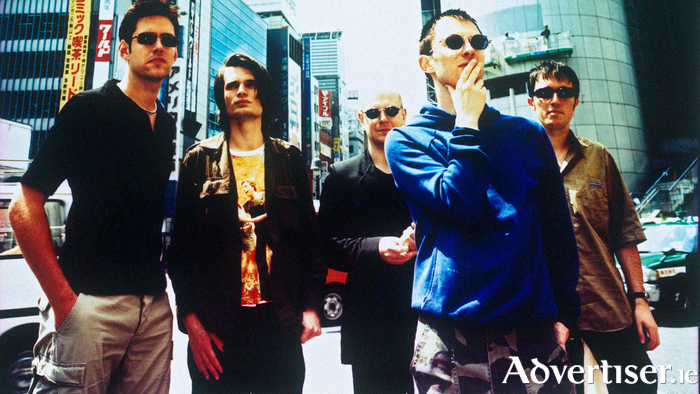 OK COMPUTER was where Radiohead went from delivering era-defining music - The Bends - to creating an album for the ages; revealing themselves as the successors to Pink Floyd, and admitting, without saying it out loud, that they are a prog-rock band. Enough words have been written in print and online about this album, assessing its breathtaking artistic achievement (despite the occasional attempt to do it down ) without repeating any of that here (I assume if you're reading this you know how good the album is already ). The main interest then is the plethora of bonus-tracks which come with this 20th anniversary re-issue. The majority are B-sides to the album's four singles. They reveal how right Radiohead were in selecting the 12 tracks that made up the final album and relegating these to minor status. Though enjoyable, in some places very good, none comes near the standard of OK Computer's finest tracks, ranging from Radiohead by numbers ('A Reminder' ), to fragments with great potential but which were never fully developed ('Polyethylene (Parts 1 & 2 )' ). The sole exception is 'Karma Police' B-Side 'Lull' - it's chiming riff, sense of drama, and Yorke's soaring vocal delivery are classic Radiohead, but it is too short (a rare complaint about any song ) and underdeveloped - it's the one that got away, and a song many might feel would have been a better inclusion than the much (sometimes unfairly ) maligned 'Electioneering'. The main interest however is the three previously unreleased tracks - 'I Promise', 'Lift', and 'Man Of War' - 'I Promise' is the best, an acoustic ballad with quasi-martial drums, and another superb vocal from Yorke. However with its string quartet arrangement, it just did not fit the mood and sound of OK Computer. Now though, it can be enjoyed in its own right - a nice hidden gem from the Oxford band's catalogue. Page generated in 0.0760 seconds.